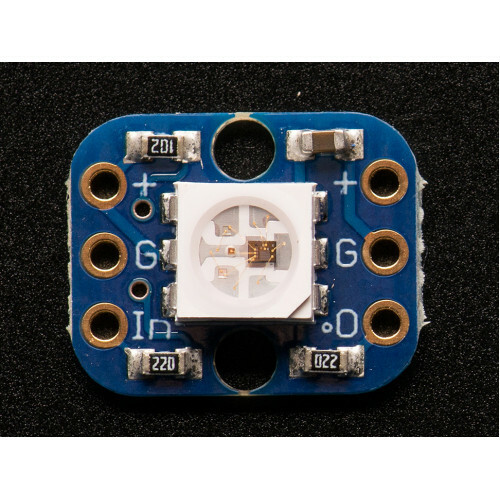 This is the easiest way possible to add small, bright RGB pixels to your project. 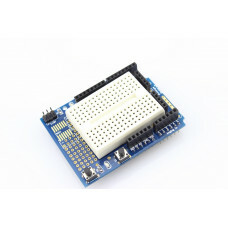 We took the same technology from our Flora NeoPixels and made them breadboard friendly, with two rows of 3 x 0.1" spaced header on each side for easy soldering, chaining and breadboarding. 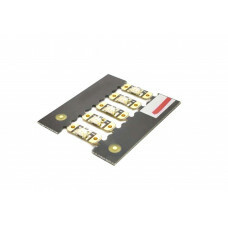 These ultra-bright LEDs have a constant-current driver cooked right into the LED package! 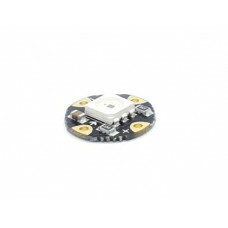 The pixels are chainable - so you only need 1 pin/wire to control as many LEDs as you like. 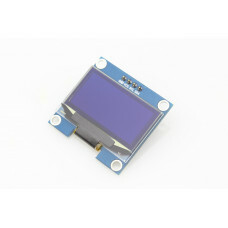 This 1.3”OLED display module is made of 128x64 individual write OLED pixels, It uses I2C to communic.. 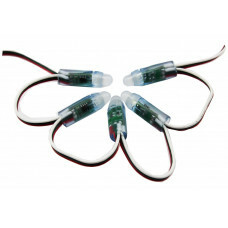 These are bright LEDs, the lens of this super bright Green LED is 5mm in diameter.QUICK SPECS:Diamet.. 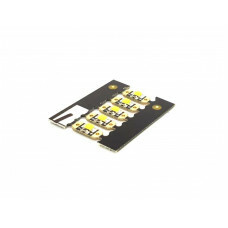 These are bright LEDs, the lens of this super bright White LED is 5mm in diameter.QUICK SPECS:Diamet..
What's a wearable project without LEDs? Our favorite part of the Flora platform is these tiny smart ..
Look at these colorful LEDs, what a beautiful visual experience! Let’s think about what can make by ..